One of the main reasons for poverty in India, is the lack of access to quality healthcare, mainly at the primary level. The worst nightmare for any family was a near and dear one falling sick and then end up selling their assets, including land and gold driving them further into a spiraling debt trap. It was to tackle the problem at its root cause, that the concept of Ayushman Bharat was born. 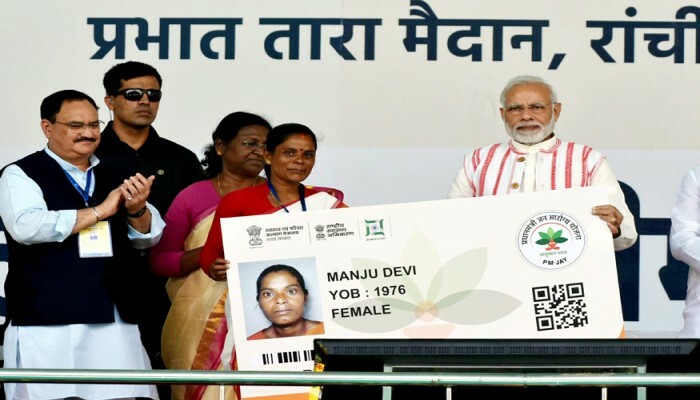 Launched on 23rd September 2018, Ayushman Bharat - Pradhan Mantri Jan Arogya Yojana is a cashless scheme that provides financial protection Swasthya Suraksha to under-privileged rural families and identified occupational categories of urban worker’s families as per the 2011 Socio Economic Caste Census (SECC). PM-JAY has identified about 1394 packages covering medical, surgical and day care treatments and the number is being improved on every day. The packages cover pre and post hospitalization, drugs, diagnostics, consultations, procedure, stay and food for patient during the treatment. PMJAY aims to provide an annual health cover of Rs 5 lakh to each family in the target group, thus reaching out to a potential 50 crore beneficiaries in around 10.74 crore families. As of 31st March 2019, 15,291 hospitals empaneled and 18.96 lakh hospital admissions have been recorded under the scheme. Of this, 30% are tertiary care cases accounting for 75% of the over the Rs 2,200 crore authorized for hospital admissions. Over 2.95 crore people have become beneficiaries and got their PMJAY eCard done. As things stand now, every minute, 10 beneficiaries are getting free treatment worth Rs 10 lakhs and 60 plus beneficiaries are getting an eCard done. The question that is often asked is “Could this could have happened earlier?” Yes, it could have, but it required someone with the requisite political will who genuinely cared for the poor and understood the genesis of the problem - lack of access to quality healthcare. It goes without saying, that despite lakhs of cores being pumped in, primary healthcare remains in shambles. The poor and the downtrodden, who often look up at Doctors as Gods, are left to ruminate their fate when a major healthcare issues arises. The lack of a quality care at the primary level drives them to seek help in the small towns and cities. Quite often, when a patient moves to another location, the family moves with them disrupting the finances of the household. While a strong primary care in the mediate neighborhood will keep health costs affordable, a stronger hospitalization care like #PMJAY helps in secondary prevention and treatment. While state governments will need to keep funding the basic healthcare, Ayushman Bharat will help expand support for tertiary care. Despite the best done to promote good health, there is still the important need for tertiary care and secondary care. We need to ensure that we screen our population for detecting the prevalence of non-communicable diseases like Diabetes, Cancer and Cardiac. Once a strong primary healthcare system has been built up, the secondary and tertiary systems needs to be ramped up. Sadly, in India these two sectors have been the domain of the private sector. Once a disease like Cancer or heart problem has been detected at the Primary Healthcare Centre, the poor do not have the financial wherewithal to get them treated. Ayushman Bharat has changed that. Ayushman Bharat operates in two parts - The Pradhan Mantri Jan Arogya Yojana (PMJAY) which covers more than 50 crore the poorest people in the country against serious illnesses. There is an equally important - to strengthen primary healthcare by upgrading more than 1.5 lakh health facilities to health and wellness Centres (HWC) across the country. There is no trade-off between primary care and curative care; the policy challenge is to strengthen both. Ayushman Bharat does exactly that with its two important arms. Cardiology and cardio-thoracic and vascular procedures like CAG (coronary angiography); double and single stent PTCA (percutaneous transluminal coronary angioplasty), medicated and inclusive of diagnostic angiogram; coronary balloon angioplasty; and orthopedic procedures such as external fixation of long bone, are the top five packages of the PM-JAY, worth more than ₹592 crore. They account for 37% of the total [hospital] admission amount. About 1.3 lakh village-level entrepreneurs (VLE) across 65,500 Common Service Centres (CSCs), a network of single-window service providers run by the VLEs, are part of the government’s rural outreach program. These volunteers have been engaged for the verification of Ayushman Bharat beneficiaries through the generation of PM-JAY e-cards in 13 States. 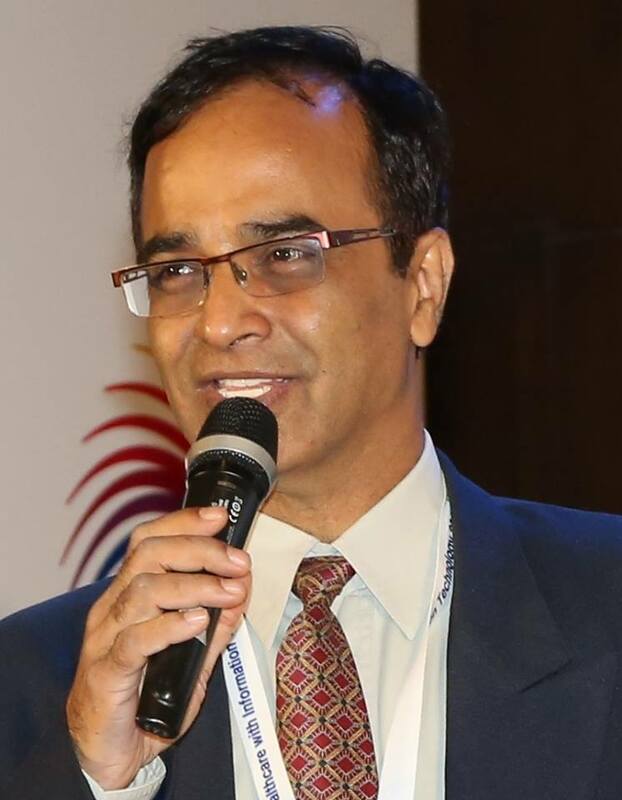 According to Indu Bhushan, CEO PMJAY, the momentum gained by the scheme in a short period since its launch testifies to the huge unmet need for curative care in the country. If the momentum continues, it will dramatically change the face of the country’s health sector in the country - for the better. It will prove to be a giant leap towards Universal Health Coverage. PMJAY will now be looking to expand the scope of treatment for cancer care to increase exponentially, given the rising incidence of cancer. One of the partners in this project is National Grid, which will enable vetting of treatment plans from across the country and ensure that patients across the country are receiving the best advice. Given the huge response in the first year of its launch, officials are now ramping up to ensure that the quality of care is not compromised as the numbers are ramped up. Strict watch is being maintained to ensure that any frauds are detected in time and strict punishment meted to the service providers who a part of any such misadventure. A huge exercise of this nature, will have its teething issues, but the professional approach and commitment have negated any such apprehension among the patients and service providers.